Sites are located in Kokas District, Fakfak region is a relic of prehistoric times. The site is in the form of painting of human hands and animals at a very steep rock cliff. The prehistoric paintings contained in this cliff can be found in Andamata, Fior, Forir, Darembang and Goras. One thing which makes this site so interesting is that despite hundreds of years old, the quality of paintings are still visible till this day. The red color in the painting of this cliff resembles the color of human blood so that local people call it a hand-stamp-blood painting. The beauty of the underwater world in Raja Ampat is very popular throughout the world. Of the approximately 610 small islands in this area, only 35 islands are inhabited by the people. 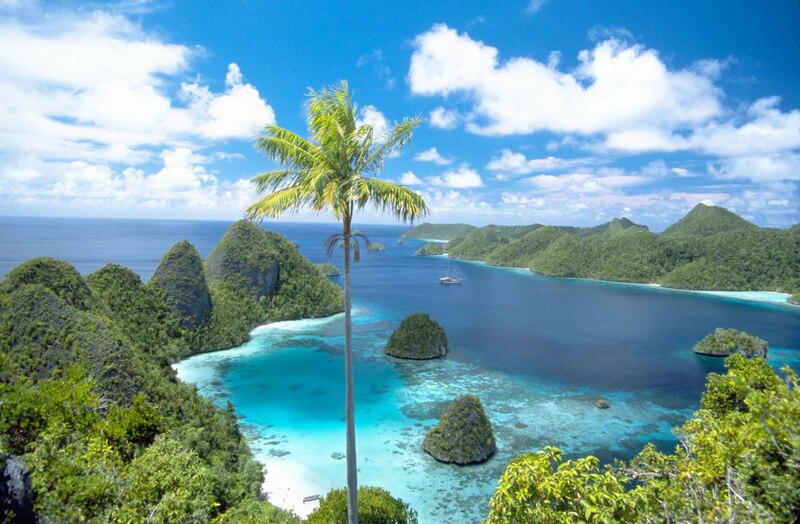 Coral reefs in the waters of Raja Ampat is rated as the most comprehensive in the world due to the 537 known coral species in the world, 75 percent were in these waters. In addition, there are at least 1,104 species of fish, 669 species of mollusc and 537 species of coral animals that exist throughout the water territorials. Raja Ampat has been and will always be the most famous travel destination in Indonesia besides Bali. 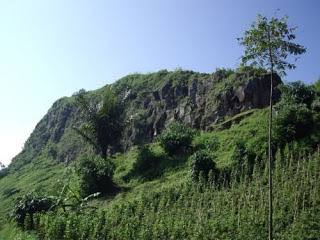 Gunung Meja Nature Tourism Park is located in the downtown of Manokwari. This place has a primary function for tourism and outdoor recreation, protection of life support systems and the preservation of diversity of plants, animals and natural uniqueness. In this place you can do trekking activities, hiking and others. Your eyes will be spoiled by tropical forest flora which is very diverse and has a unique shape. This place is believed to have hundreds of species of trees, dozens of species of shrubs, bushes, lianas and nails as well as herbs, not to mention a dozen species of orchids and several species of palms. Besides Raja Ampat, this place also very popular among lovers of the underwater world, especially those who love of diving activities. This place is the largest marine national park in Indonesia which is 89.8% of its territory is ocean waters. There are about 209 species of fish that inhabit this region; they are butterflyfish, angelfish, damselfish, parrotfish, rabbitfish and anemone. In addition, there are four types of turtles that is often landed in the Park which are hawksbill, green turtle, olive ridley and leatherback turtles. Even dugong, blue whale, coconut crabs, dolphins and sharks is also often seen in the waters of Cendrawasih Bay National Park. In addition to maritime tourism, in this place there is also a natural cave which is a relic of ancient hot springs containing sulfur without salt levels in Misowaar Island, underwater cave at Mangguar cape. A number of relics from the 18th century can still be found in some places, such as Wendesi, Wasior and Yomber. Many Christians visit the church in the Yende village (Roon Island), only to see the holy book published in 1898. 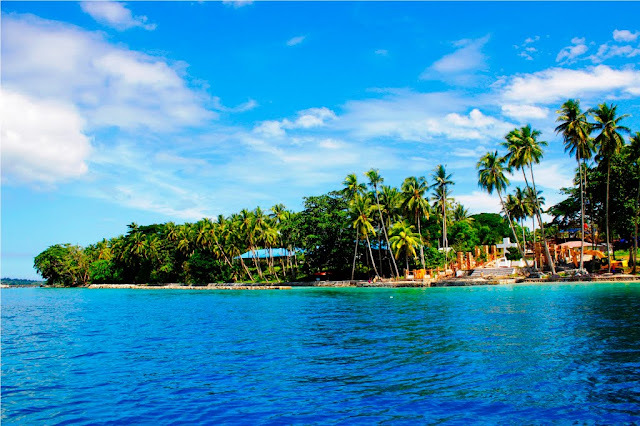 Sorong is not only the transit point before heading to Raja Ampat because a lot of interesting things you can see and taste here; a culinary tour at the "Berlin Wall" is one of them. The name "Berlin Wall" was taken from a wall that once separated East Germany and West Germany, although it wasn’t look like it. Berlin Wall in Sorong is a wall that separates the beach with seaside highway elongated shape. In the afternoon, the area is often used as the location of the gathering of tourists and residents to see the sunset and at night the place is going to turn into a food court, especially seafood. 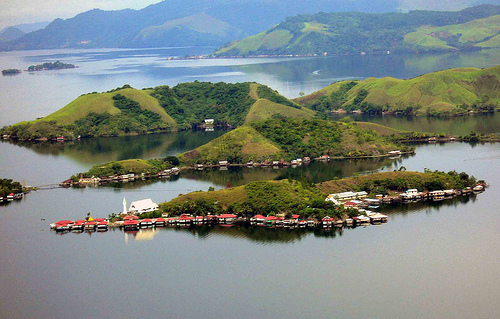 A visit to Sentani Lake could be fun; this lake has a beautiful landscape with mountains as the background. Surrounding the lake with using a boat and enjoying the breeze on Sentani Lake are a wonderful experience. Around the lake there are painting rock and the remnants of World War II. 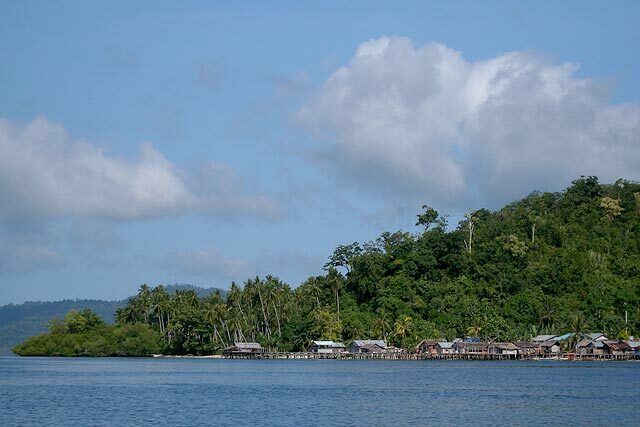 Sawinggrai village is located in the Meos Mansar district, Raja Ampat, West Papua. The attracted thing of Sawinggrai village is a bird of paradise; here you can see birds of paradise in the wild. Birds of paradise usually dance and show off the beauty of the sfeathers to get a pair. Sawinggrai village is one of the famous travel destinations in west papua. 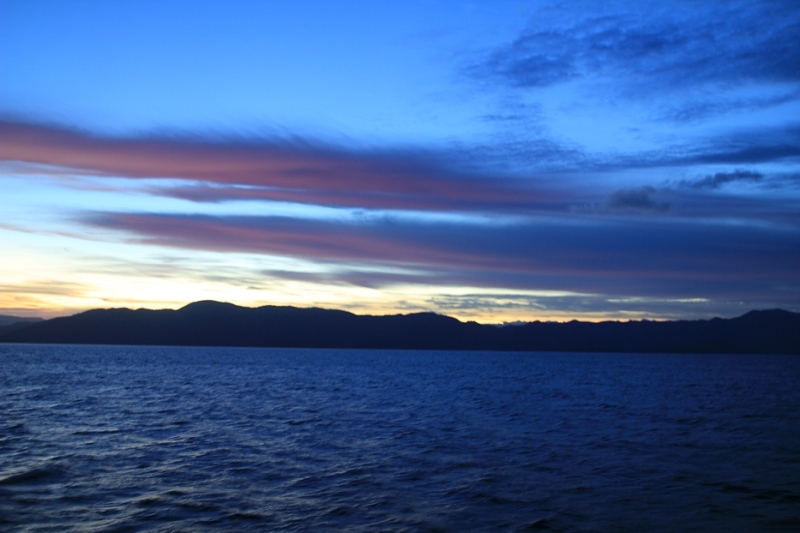 Triton Bay is located in Kaimana, West Papua. You can get different experiences with the charming beauty. Many exciting things you can do in Triton Bay, especially for adventure and diving lovers. 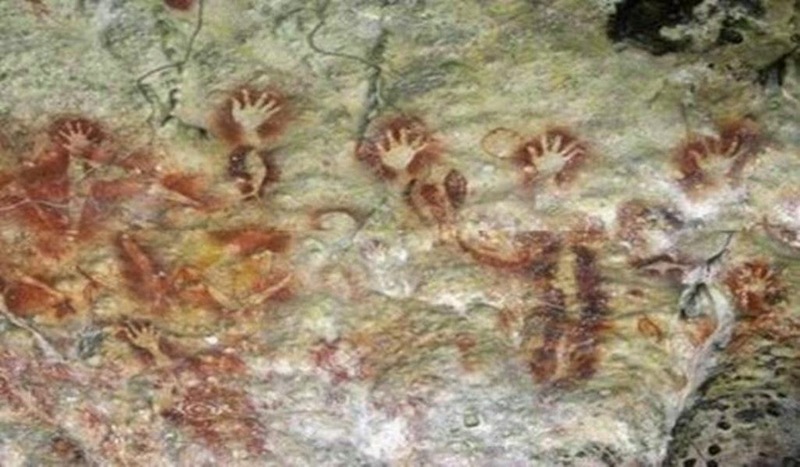 When you go to this area you will find Maimai coral cliff and the prehistoric paintings at its wall. Uniquely the painting was painted on cliffs which are difficult to reach by using bare hands. Although made from natural ingredients, but the color is still clearly visible. Skull painting, palms and animals indicate that the antiquity community like hunting. The other tourist attraction in West Papua is Mansinam Island. You can enjoy the beauty of the carcass shipwrecks sunk in the sea. Yes, Marsinam is very suitable as a diving spot. Carcasses shipwrecks that have been overgrown by coral reefs and used by small fishes as home by a small range of colors really overlook the beautiful and exotic view. In Baliem you can interact with the tribes living in the mountains, in the village of Sauwandarek you can meet directly with the native tribes that live on the coast. 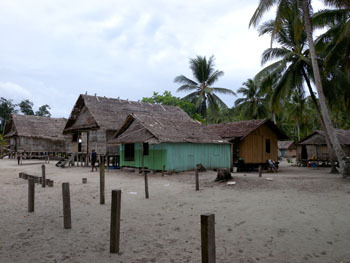 Sauwandarek village is still in the area of Raja Ampat, precisely in the Meos Mansar. Here, you can see a traditional house made of wood and straw roof. It is only occupied by 46 households. Women here used to make hats and bags of sea pandan leaves. If you liked their work, you can buy it on the spot. Those are 10 famous travel destinations in West Papua that you can enjoy with your family.